The chance to head to Nashville is an incredible experience for all music lovers and from the Grand Ole Opry to the Tennessee Performing Arts Centre, watching a live performance will no doubt get your toes tapping and your head bobbing with the best of them. The history and the culture of Nashville’s entertainment industry is legendary and as this is considered to be the home of some of America’s most influential recording artists, including: Emmylou Harris, Tammy Wynette and Elvis, you won’t fail to be touched by the country bug. One of the absolute ‘must visits’ before or after experiencing a live gig is the Country Music Hall of Fame & Museum which exhibits the relationship of country music and Nashville as well as giving the low down on the musicians who have been indoctrinated into the illustrious Hall of Fame. Just to whet your whistle, below are five of country’s most successful recording artists that have been cited in the Hall of Fame and if you’re planning on doing a little research before heading to Nashville then get yourself a record player and a vinyl recording and crank these bad boys and girls up to 11. Famed for being one of the female pioneers of country music, Cline will remain forever young and always be associated with the Nashville sound as well as Willie Nelson’s haunting ballad ‘Crazy’. She died at the tender age of 30 in 1963 and 10 years later became the first female solo artist to be inaugurated into the Country Music Hall of Fame. Consistently ranked in top 100 most influential singer lists and regarded by many as the undisputed queen of country music, listening to Patsy Cline will no doubt get you in the mood for Nashville. This cheeky chappy was originally regarded as a rock & roll artist but started to make the ‘cross-over’ to country around the end of the sixties. With hits, such as: ‘Hello Darlin’’, ‘Lead Me On’ and ‘Desperado Love’, Twitty, formerly known as Harold Jenkins, had over 50 country music number ones including duet success with, the ‘Coal Miner’s Daughter’, Loretta Lynn. Although never a member of the Grand Ole Opry, Twitty was undoubtedly one of the all-time country music greats and one of the few to be inducted into both the Country and Rockabilly Halls of Fame. This bad boy has been recording country music with a rocky edge since the early eighties and as such has gained a huge following as well as recognition by the Country Music Hall of Fame. Brooks has retired, returned and committed himself to legendary status with hits, including: ‘If Tomorrow Never Comes’, ‘The Thunder Rolls’ and, his working class anthem, ‘Friends in Low Places’. With an array of awards and as one of country music’s all-time living greats, checking out the Garth Brooks back catalogue is a superb idea if you’re heading to Nashville. There are country music recording artists, there are a whole host of star performers and then there’s Dolly Parton. Standing head and shoulders, metaphorically, above her contemporaries and a living legend of the country scene, Parton is one of the most successful female musicians of any genre let alone just country. Classics, such as: ‘I Will Always Love You’, ‘Jolene’ and ‘Love is Like a Butterfly’, have all been adored by a worldwide audience and ensure Dolly will always be remembered as an absolute icon of country music and is a ‘must listen to’ before heading to Nashville. 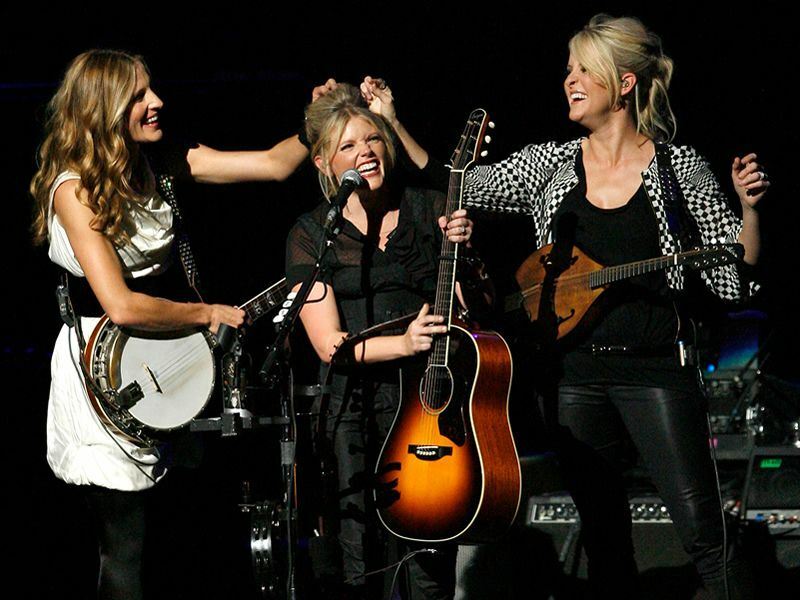 Often coming to blows with conservative country fans, the Dixie Chicks are an all-female group who combine bluegrass with country pop with million dollar success. Their 2007 album, ‘Taking the Long Way’, became the Grammy-award-winning record of the year and catapulted them further into the country music stratosphere. Returning from a 4-year hiatus in 2012 the Chicks are showing no signs of cowering from their political allegiances and are living proof that country music stands for a whole lot more than love songs and broken-hearted ballads.